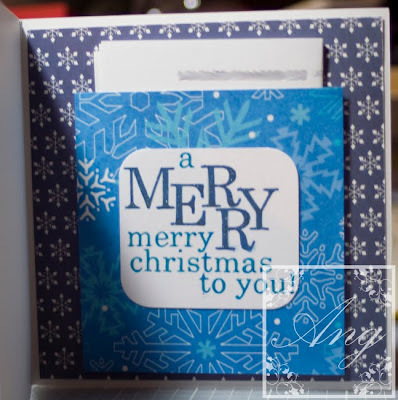 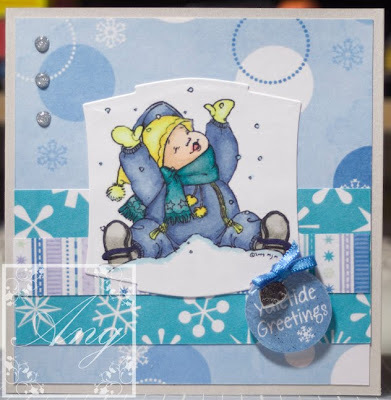 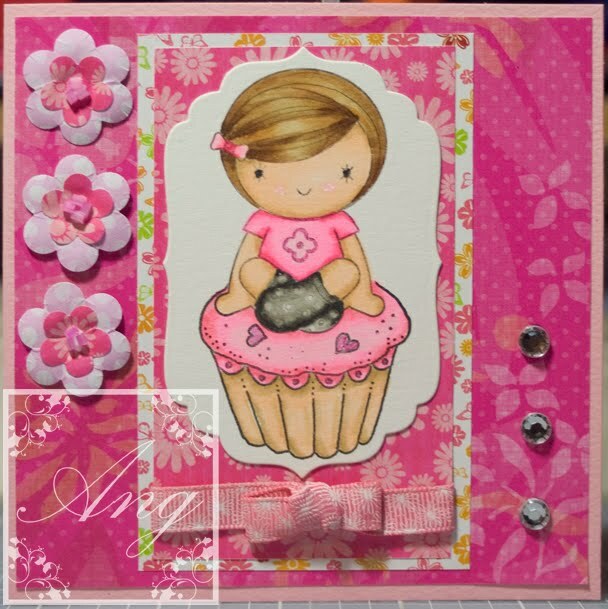 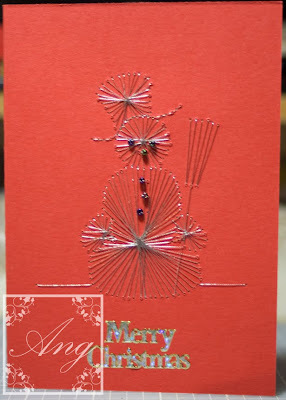 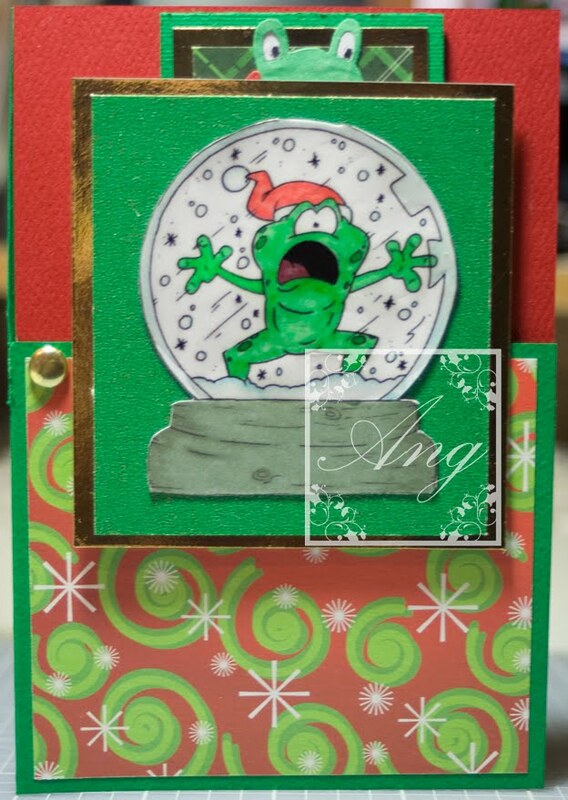 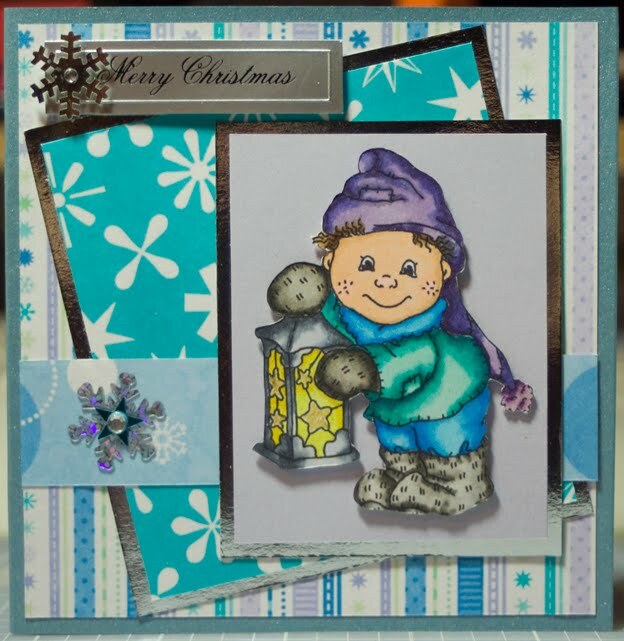 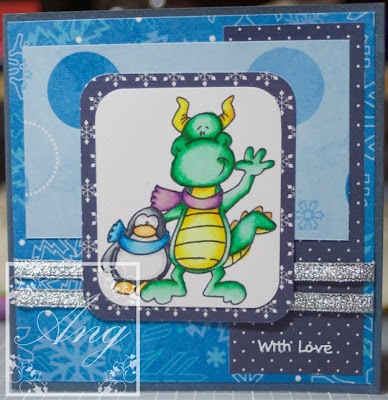 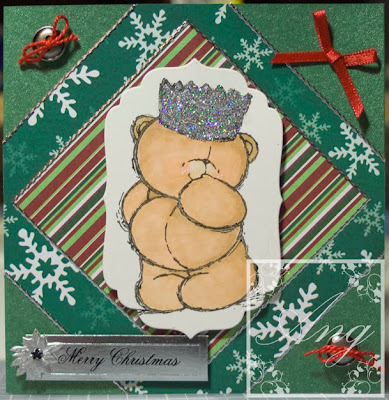 This is the first time I have done something like this on a card, we all did one at our craft group last night and it was great fun. 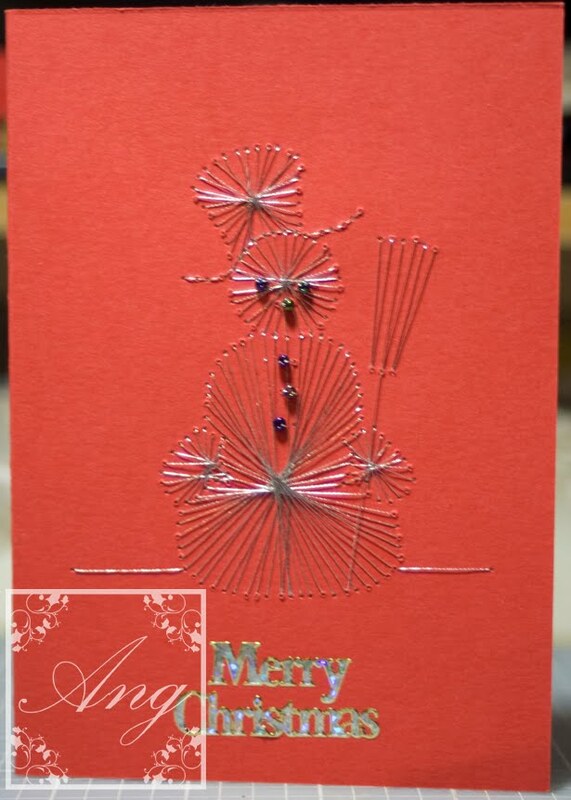 I remember my Dad used to make pictures like this with nails and thread, some of them were awesome. 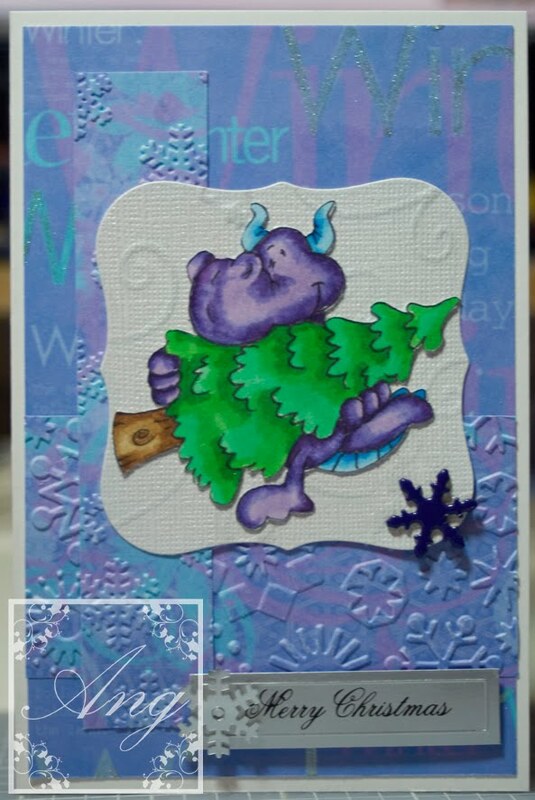 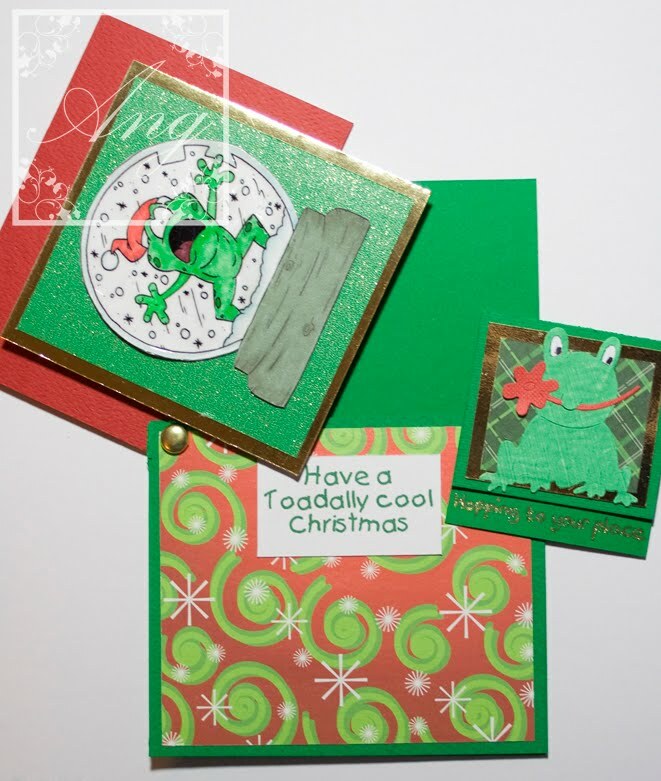 There were a couple of challenges that called for Christmas cards namely Charisma Cards, and Papertake Weekly Challenges, so here is my card. 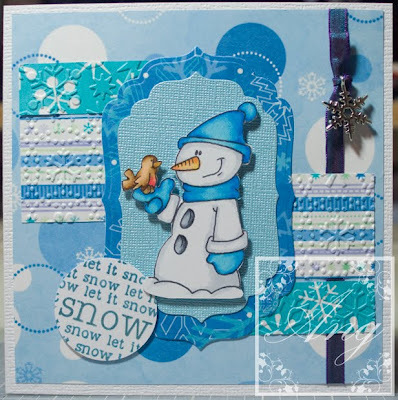 I seem to have done it again, I am not sure what these 2 challenge blogs heve, but this is at least the 2nd time that I have combined the 2 lol Friday Sketches have another great sketch up this week and Something Completely Different called for Blue / white and snowflakes. 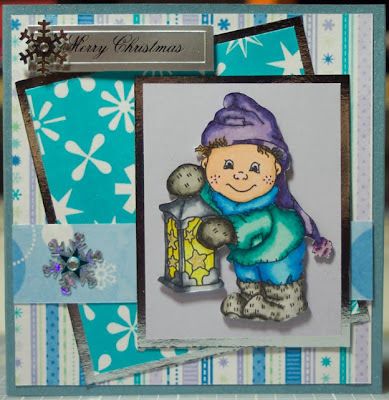 Here is another card that I couldnt take a picture of as I had no battery in my camera until this morning (but that is a whole other story) this was done using the sketch from Friday Sketchers and the challenge from Something Completely Different to use pink and a Christmas tree, please do go and look at the DT’s cards as they were all really great.